Throughout your existence, you are never going to remain the same person you are right now. The world and time are constantly trying to change you, and they will win eventually. You cannot do a thing against it. Change is inevitable. 2. It becomes increasingly difficult to make new friends as you grow older. 3. The child in your heart never dies. You remain a child, but you are trapped inside the body of an adult as you grow older. And you need to pretend like a different person just like everyone else around you. 4. The time of your youth is the best time to make or break your life. How you spend the rest of your life is directly proportional to how you spent your younger days. If you spent it poorly, you are going to regret it all your life. 5. Life has no purpose, there is no correct career path and there is not a single special person you are destined to meet. 6. Your friend circle gets smaller and smaller. If you are really fortunate, you will have two to three of your old friends still with you. 7. 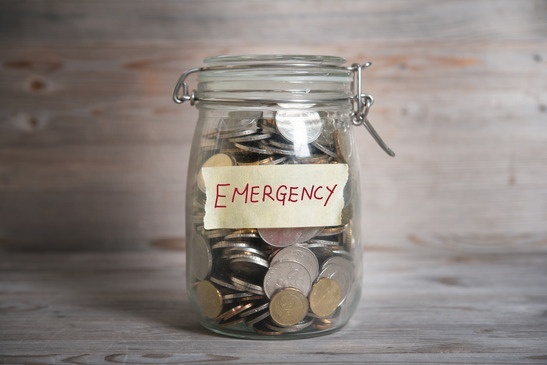 Having an emergency fund is not a choice but a need. 8. Family and your best friends are the most important support that you will ever have for yourself. 9. Your perspective about adults change. You realise that adults are not strong and free, but rather scared and emotionally trapped people who have learnt how to remain calm. 10. The world is a mean, nasty and selfish place where everyone is for himself or herself; hypocrisy is rampant and your school hasn’t prepared you for it well. 11. Critical thinkers are rare and most of the adults don’t have a clue as to what they are doing. They can be easily misled by feeding their ego. 12. Death is not something that you should fear. It is a blessing. Most of the people who fear death are just worrying about others who depend on them. 13. You realize you need more people in your life than you thought you needed. So start making efforts to connect with more people. 14. Conservatives are not horribly wrong and liberals are not superficially correct. 15. Staying positive in a world which is continuously trying to break you down with its inexhaustible supply of brutality is a remarkable thing. And those who try to be optimist should be celebrated and not mocked. 16. You understand that you didn’t grow up and become the person that you wanted to be while you were young. 17. You will be eventually forgotten. There will come a day when your name will be taken one last time and you will be remembered for one last moment and then no one will ever know you even existed here on earth. 18. Arguing with everyone who disagrees with you is just as pointless as trying to empty an ocean by taking out water in buckets. It is far better to let your disagreement known and leave the conversation there. 19. You get lonelier as time goes by and having someone right next to you who is ready to spend his/her entire life with you is an absolute privilege. 20. No matter how good a person you are, wrong things will continue to happen and your faith in karma will be reduced to dust. 21. There is always someone who is having a better life than you are, and someone who is having a shittier life than you are. The best way to live a life is not to compete with others but focus on your own. 22. Having a content life is an illusion. Nobody ever finds absolute contentment.